Is spoiling the grandchildren damaging their health? Spoiling the grandchildren? Could you be damaging their health? A recent study from the University of Glasgow published in PLOS One Journal has found that this behaviour by grandparents can have an adverse effect on their grandchildren, concerning both their diet and weight, although it’s clear that nobody means any harm. The study’s lead author, Dr Stephanie Chambers, explains, “While the results of this review show that behaviour such as exposure to smoking and regularly ‘treating’ children increases cancer risks as children grow into adulthood, it is also clear from the evidence that these risks are unintentional. Findings showed that children, when under the care of their grandparents, consumed too many high sugar and high fat foods, took part in insufficient physical activity, and in some cases were exposed to passive smoking on a regular basis. Traditionally a grandparent’s accepted role has been to be the fun one. To shower their grandchildren with both love and affection, and a large dose of sugar for good measure! A weekend treat – a visit to grandparent’s house was a time to be spoilt and indulge in foods that your parents would never dream of giving you. Rising childcare costs, fears over job security, high living costs and an increase in the number of single parent families have resulted in a record number of grandparents looking after their grandchildren on a regular basis. According to a study by Grandparents Plus, 93% of families rely on grandparents for help with childcare. 93% of families rely on grandparents for help with childcare. With grandparents taking on a secondary, and in some cases even a primary care giver role, the roles and boundaries are becoming blurred. Expectation versus reality on both sides is an issue. With parents expecting their rules and values to be strictly adhered to and grandparents struggling with their new role as a disciplinarian, but wanting to avoid conflict or confrontation with both their own children and their grandchildren. The National Obesity Forum also explains how today’s grandparents are “struggling with manipulative and increasingly savvy grandchildren” who know how to push their grandparents’ buttons and often throw tantrums until they get exactly what they want. On a more positive note the study showed that grandparents who are actively involved and present with their grandchildren improve their overall emotional wellbeing; which in today’s society where mental health issues in young people is so prevalent is of vital importance. So how can you, as a grandparent, help contribute to keeping your grandchildren fit and healthy? Here’s five easy ways you can make a difference whilst still being their favourite granny or grandad! This will help them connect with what they are eating, help them discover new foods and make them feel trusted and more grown up. NHS Choices is a great source for tips on healthy eating specifically aimed at children. And it’s fun to do with them. Get messy, it’s good for the soul. Saying no to the television and other electronic devices may seem like an impossible task but if you prepare a selection of fun indoor games such as board games, hide and seek or arts and crafts, they could be persuaded to put down their beloved technology without a full on meltdown. Perhaps offer some negotiation rather than an outright ban. If you are a smoker, ideally you should try and not smoke at all when you are caring for your grandchildren. However if this is not possible, ensure you go outside to smoke away from them as passive smoking is incredibly damaging to young children. Children should be getting at least one hour of physical activity a day so make it your aim to get outside with them; the fresh air will do you and them the world of good. Alternatively find out about local playgroups in your area with Sure Start; this government funded service offers free advice, support and weekly playgroups across the U.K. The report concluded that grandparents should now be included in government advice and support campaigns for raising children as they are playing an increased and vital role in the next generation’s future. Surely this can only be a good thing for all parties involved? Are you struggling with the childcare of your grandchildren? Do you need financial advice on what you are entitled to as a care giver? 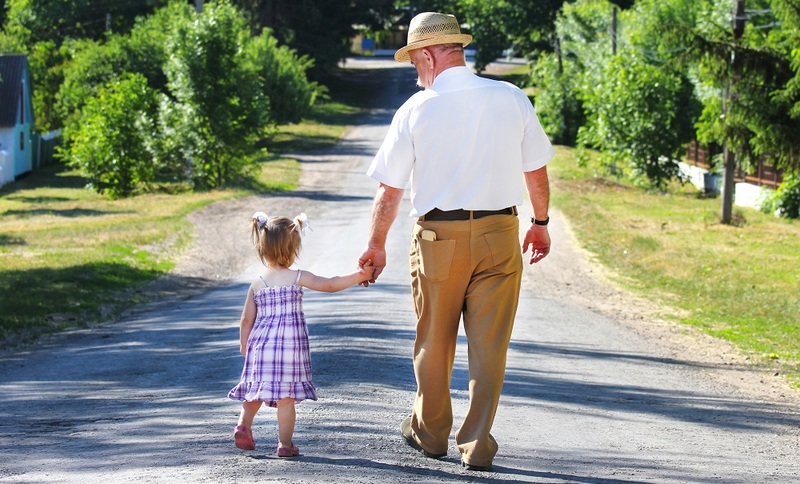 Does your child have unrealistic expectations of your role as a grandparent? GrandparentPlus is a service specifically created to give a voice to grandparents across the UK and offers free and unbiased support.